It is that time of year again- the evenings are getting cooler, and the leaves are bursting with rich vibrant fall colors. Whether you're planning a fall party or a cozy night around the campfire, Rocky Mountain Chocolate Factory has the perfect gifts, snacks and more to start your favorite season off right! This stack-able fall cocoa set is perfect for sweater weather. 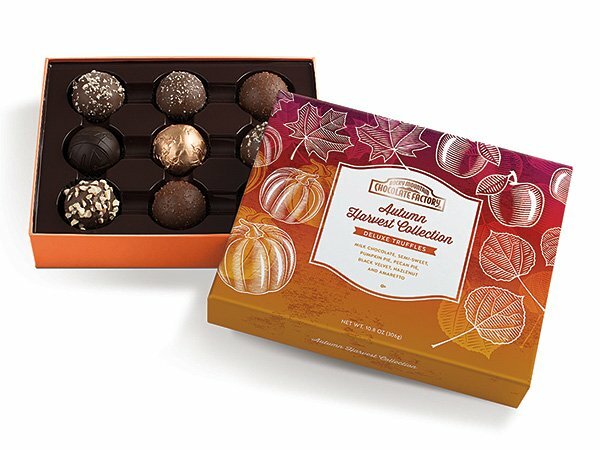 This gift box contains Autumn Spice, Pumpkin Spice, and Bourbon Pecan flavored cocoa. Containers are stacked in an acetate box. Enjoy a mug of your favorite! Can you say cornucopia? This collection includes 16 of our mini chocolate truffles including milk chocolate, semi-sweet, red velvet, salted caramel burst, peanut butter, raspberry, Mocha Valencia, rum, Irish cream, cherry and champagne. You are sure to find one that will please everyone. 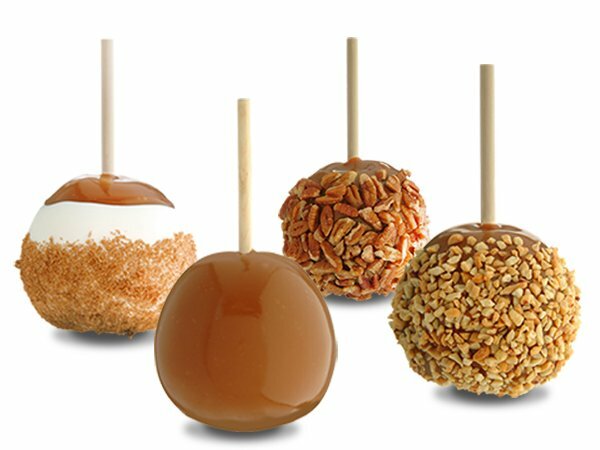 Four delicious Gourmet Caramel Apples: One each; Plain Caramel Apple, Peanut Caramel Apple, Pecan Bear™ Apple and Apple Pie Apple™. Something for everyone to enjoy! 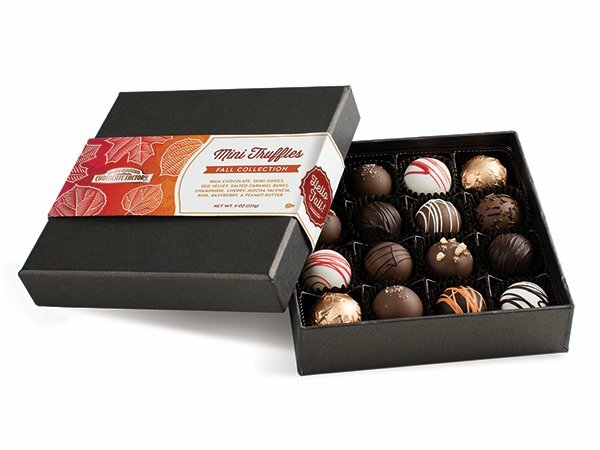 Nine of our full sized gourmet truffles! A perfect sample box of some of our favorites including Milk Chocolate, Semi-sweet, pecan pie, pumpkin pie, hazelnut, amaretto and black velvet. Four of our gourmet themed truffles. 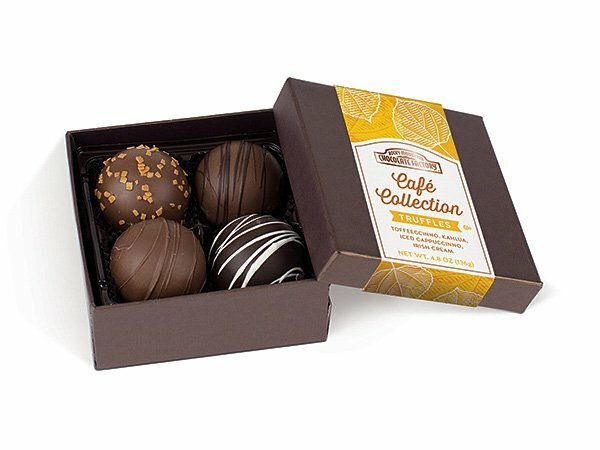 This 4 truffle collection includes full sized versions of our Toffeeccino, Kahlua, Iced Cappuccino, and Irish Cream. Just the perfect thing to go with your coffee on that cool fall evening. 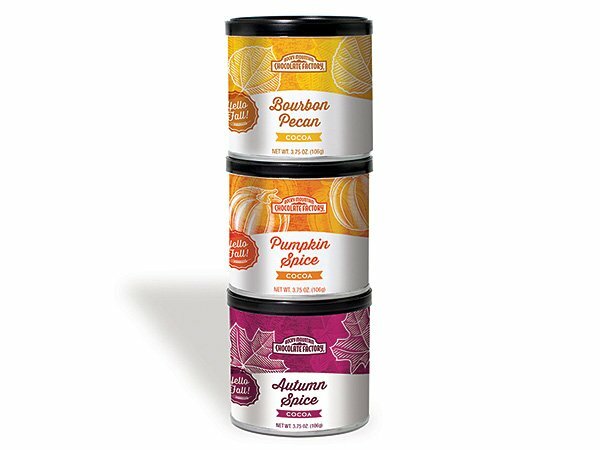 Our fall caramel collection is one that needs to be tasted to believe. 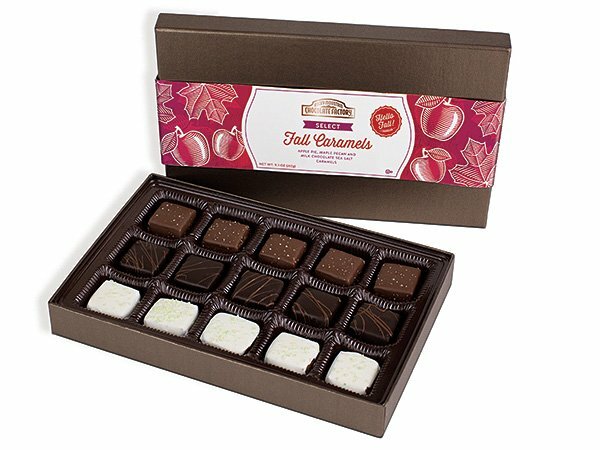 It has 5 of our milk chocolate sea salt caramels, dark chocolate maple pecan caramels, and white apple pie caramels. Fair warning- you'll have a hard time choosing your favorite!